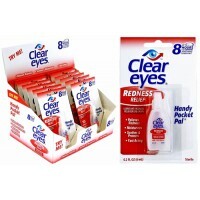 Clear Eyes Redness Relief Eye Drops. 12 Packs In A Box Display. Removes Redness Moisturizes .. 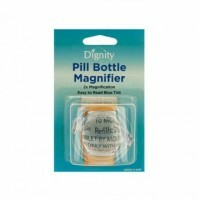 Pill Bottle Magnifier. 6ct. Easily read all the fine print on medications to ensure safety with t..
Advil Ibuprofen 200mg 50pk. 50 Packs In A Box Display. Pain Reliever / Fever Reducer (NSAID)* ..
Aponi Balm 160. 1ct. A powerful synergistic blend of all natural ingredients and deeply-penetrati..
Aponi Balm 80. 1ct. 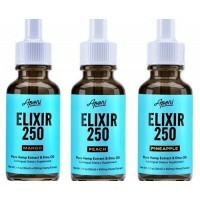 A powerful synergistic blend of all natural ingredients and deeply-penetratin..
Aponi Elixir 250. Net 1 fl oz - 30ml. 1ct. 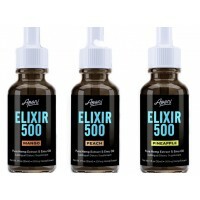 A potent combination of all natural ingredients s..
Aponi Elixir 500. Net 1 fl oz - 30ml. 1ct. A potent combination of all natural ingredients s..
Chap-Ex Lip Balm. 24 Tubes On A Display. 6 x Regular 6 x Cherry 6 x Mint 6 x Vanilla ..
RoboCough - Concentrated Maximum Strength Cough Suppressant. 12 Bottles In A Box Display. ..